The flexible audio mixer, plugin host, recorder, and connection hub. Multi-channel interface support, busses, fx sends, built-in EQs, and much more. This is a quick 1.2.7 update that fixes a crash when trying to present the available parameters of certain AUv3 plugins. – Use title of source node for unnamed channels. 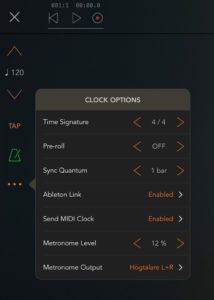 – Add metronome pre-roll-only toggle in Clock Options menu. – Avoid crash when removing channel with a node that receives MIDI from an AU and has a bus output/send. Running Fugue Machine through Rozeta Scaler will give you instant access to manipulate those scales and keys. Fun experimentation! I was having fun with this combo and wanted to share. Also shown, Rozeta LFO slowly modulating the filter cut off in BS-16i. ApeFilter and EOS2 take it to another sonic level. Thanks for watching. PLEASE SUBSCRIBE AND FOLLOW FOR UPDATES. 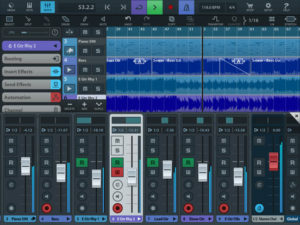 AUM is the flexible audio mixer, recorder, and connection hub for your iPad, iPhone and iPod touch. Connect hardware inputs and outputs, Audio Unit extensions, Inter-App Audio apps, Audiobus, soundfile players, built-in signal processing and filters, in any configuration you want. Route anything to anywhere with mix-busses, effect sends, audiobus ports, and external multi-channel audio interfaces. 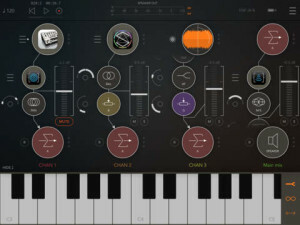 Play hosted synths and instruments using the built-in keyboard or external MIDI controllers, or sequence them from other apps using Virtual MIDI. 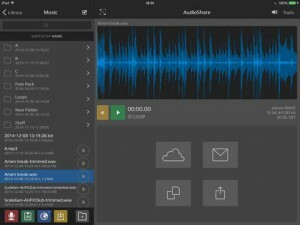 Record mixes, individual tracks, or both, straight into the storage space of AudioShare (no copying of files needed), with synchronized start and end for perfect loops. Play back recordings, sound files and loops as channel sources in the mixer for backing tracks, further processing or mixing. Route MIDI in any way you like using the MIDI matrix. Synchronize everything with the transport clock and play in time with other apps or devices using Ableton Link, a new technology that synchronizes beat, phase and tempo of Ableton Live and Link-enabled iOS apps over a wireless network. Connect external music machines and synchronize them with MIDI Clock. Includes built-in processing nodes for various stereo processing, Mid/Side balance and conversion, EQs and filters, limiting, clipping and saturation. Or use any 3rd party Audio Unit extension or Inter-App Audio effect. All controls in the mixer can be controlled via MIDI, including parameters of hosted and built-in plugins. • Implement MIDI Clock Send for synchronizing your external hardware. • Add Bluetooth LE MIDI to Settings menu. • Show indicator dot on NOTES icon in menu if there are session notes. • Add workaround for AU plugin memory allocation iOS bug. • Fix an issue restoring MIDI mapped AU parameters for some plugins. • Fix a bug in IAA MIDI parsing. • Avoid rare crashes caused by malformed MIDI packets. 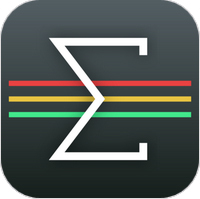 • Updated Audiobus SDK to 3.0.3b3. • Tweaked splash animation, less delay, show no version string. So you’re a musician and you just got an iPad. At this point you probably want to know how to get started with iPad music production but don’t know where to start. The following quick start guide will give you the basics to get started without overwhelming you with the thousands of different apps available. I’m breaking it down into four simple items considering you CAN do everything within the box (pad) so to speak therefor I will not get into midi controllers and audio interfaces as that is taking things to another level and will be good for an additional topic of discussion. I’d like to start by telling you a little about my self. I’m a composer with over 20 years in the music industry. 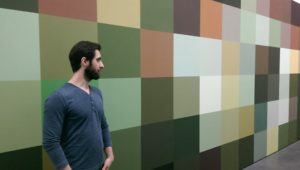 I got my start producing royalty free loops for software companies (currently producing for Retronyms and Mixcraft) which led to a career in production music. Production music is music typically used for TV, film advertising, and video games otherwise known as sync. I got my first iPad for music production back in 2010 which is when I started this blog. At the time I was creating loop content for an iOS app that is no longer with us. The app was called Looptastic. Since then producing music on an iPad has become just as real as producing music on a desktop and laptop. iPads now have fast powerful processors and there are literally thousands of cool music creation apps out there. So with that said I would like to help you get started. I know what you’re thinking. Where do I start? Well you might be following a popular blog such as my own and you’re probably aware of the many apps out there which is overwhelming I know. Don’t worry I’m here to break producing music on an iPad down to the core essentials. It’s really that simple. 2) Choosing a virtual mixing/routing app. 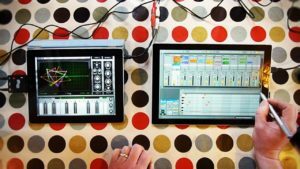 iPad music production is quite unique because well you get a touch screen but it’s also unique because now you can have an additional hub to your workflow something to work beside your DAW. I’m referring to apps that act as extended routing and mixing. 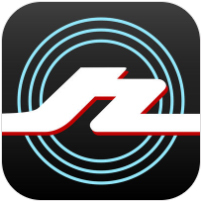 There are two popular apps for this at the moment and they are Audiobus 3 and AUM. These apps do similar things but they also have some features which are different from one another. Most iPad music producers own and use both apps! 4) Your virtual sound palette – This is where things can get hairy. There are literally thousands of synths, drum machines, and instruments out there. Most of them are IAA instruments which means you can easily integrate them into your studio and SOME are also AU3 audio units which is even better. Those are two terms that will really mean a lot when choosing your sound palette. DAWs like Garageband and Cubasis come with a vast selection of virtual synths and drums so I suggest you start there. You will easily get buried in a sea of virtual instruments when you decide to step outside of your DAW for more sounds and inspiration which is actually a lot of fun but it’s only fun when you already have had time to wrap your head around the basics so don’t worry just take is slow. Try writing a song first with the sounds from your DAW then when you get comfortable dive into the sea of sound and choose your weapons of music construction wisely as they can really start to add up in regards to financial investments. So there you have it. My intro to iPad music production in a nutshell. There is a lot more to it BUT this will get you started no doubt as these are the basic core essentials. Eventually when you get comfortable you will want to improve your workflow so it could take a bit of a little here and a little there. Don’t think about that yet. Remember it’s not the tools it’s what you do with them you can get the job done with these 4 essential items! DAW Auria Pro – Mobile Music Production – WaveMachine Labs, Inc.
Ruslan Cebrail is having another go at his live setup and it sounds wicked!. Check out his latest jam entitled “Shame”. Inspired by a move with the same title. 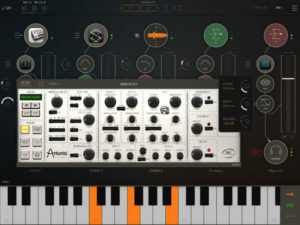 – KORG Module – KORG INC.